A co-worker shared this recipe for baked oatmeal with me, and I just made a few adjustments to make it healthier! I love the way my house smells when I have this oatmeal baking in the oven. 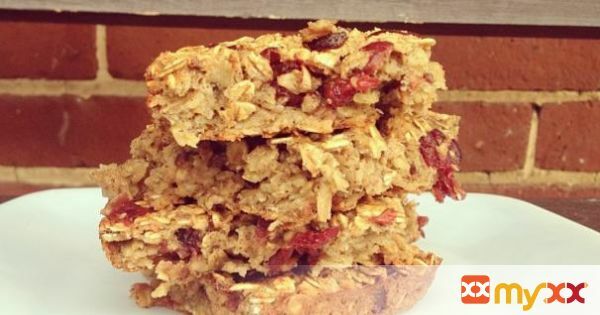 Once baked - cut it into bars, refrigerate and have as a quick week day breakfast or snack! 2. Mix dry ingredients until well combined. 3. Mix liquid ingredients separately. 4. Add the liquid ingredients to the dry mix. 6. Spray a pan with a non-stick spray - the smaller the pan, the thicker the bars will be. 7. Pour the mix into the pan.